1. 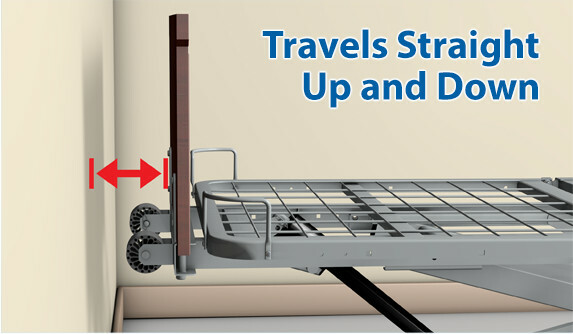 Attach expanders tool-lessly to each side of the head, seat and foot decks after removal of the bed’s mattress retainers. 2. 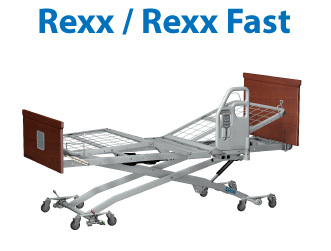 Easily convert the sleep surface on Rexx, Rexx Fast and Advantage beds to a 42 inch width with our intuitively labelled expanders. 3. 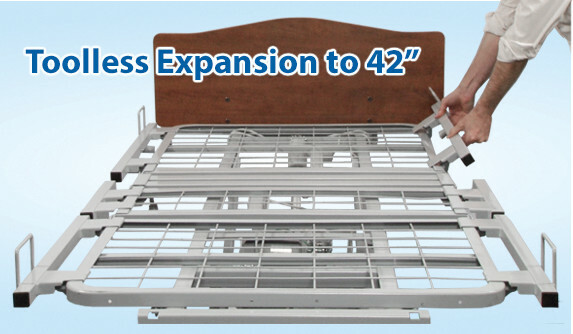 The expanders are fully compatible with our optional molded plastic and metal half-head assist rails. 1. 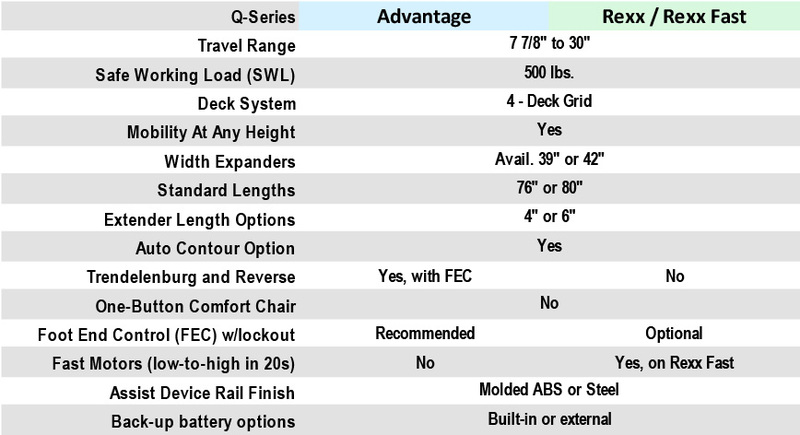 Precision welded orthopedic grid decks give ventilated, flexible no-sag support. 2. Durable polyester powder-coating of indiv. bed parts resists chipping & flaking. 3. Decks designed with smooth upper surfaces are easier to disinfect. 4. . . . An improvement over difficult-to-clean decks with protruding welds. 1. 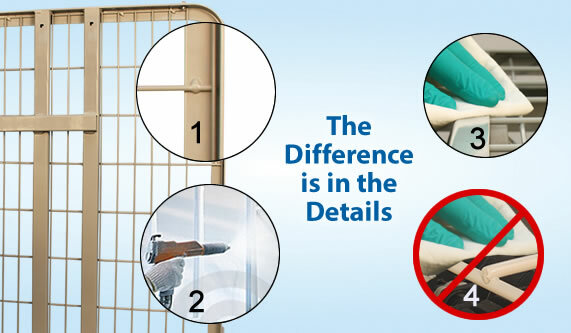 Beds rise with virtually no horizontal motion, saving space and wall contact. 2. Arched legs – allows wide stance for equipment clearance and stability. 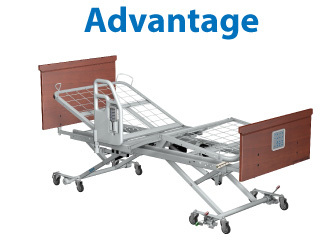 4. are simple to fit facilitating bed servicing and maintenance. 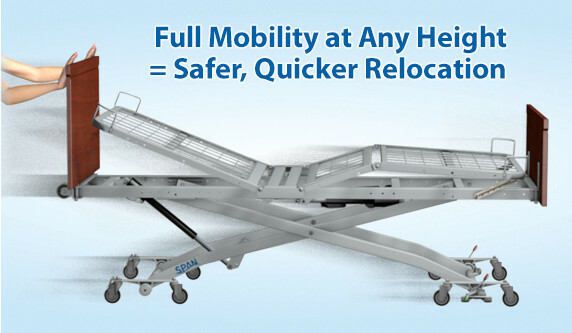 Q-Series Design plus smart technology enables advanced clinical and resident positioning. 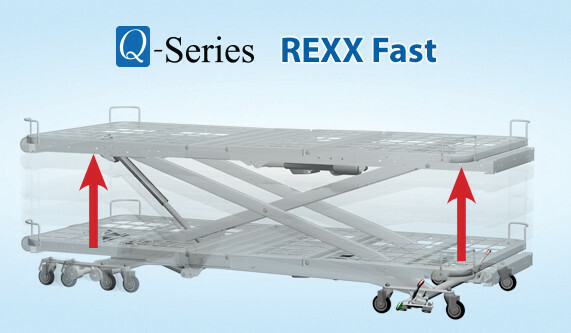 Q-Series features with the Fast Rising option brings deck up to 27" in less than 20 seconds. 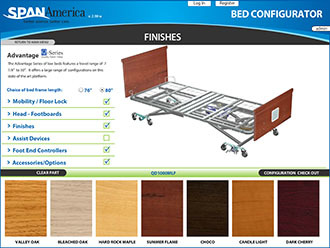 Let us help you choose a bed with our interactive app. 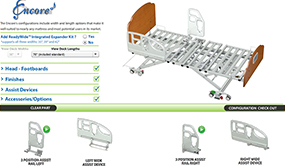 Configure any bed online.